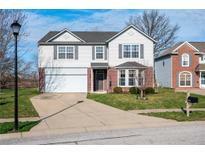 Below you can view all the homes for sale in the Glen Haven subdivision located in Plainfield Indiana. Listings in Glen Haven are updated daily from data we receive from the Indianapolis multiple listing service. To learn more about any of these homes or to receive custom notifications when a new property is listed for sale in Glen Haven, give us a call at 317-418-9244. The backyard is comfortable and private with no homes behind and even a playground right next door! MLS#21630038. The Stewart Home Group. Great location just minutes from the Interstate & in Plainfield Schools! ! 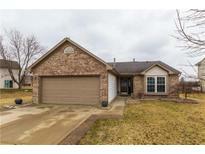 MLS#21626657. RE/MAX Centerstone. Enjoy all that Plainfield has to offer, Parks & Trails, Aqua Center w/Splash Island, The Shops at Perry Crossing, Sodalis Nature Park + much more! MLS#21627479. Carpenter, REALTORS®. Shelving in garage and storage cabinet stay! MLS#21619871. Keller Williams Indy Metro NE. 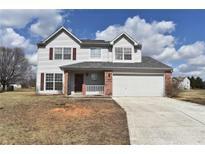 Close to interstates, shopping, schools, and much more! MLS#21623088. HIVE Realty Group.